Tanzania, an East African nation officially called the United Republic of Tanzania faces the Indian Ocean and borders seven other countries: Burundi, Kenya, Malawi, Mozambique, Rwanda, Uganda and Zambia. More than 50 million people live in the country, and more than 80 percent of which reside in rural areas. There are two official national languages, Swahili and English, and the local currency is the Shilling. Gambling in Tanzania is legal and regulated. The country has reputation of being a pioneer in the field of gambling on the African continent. The Investment Promotion and Protection Act of 1992 and the Tanzania Investment Act of 1997 marked the beginning of legal gambling in the country, as they stimulated leisure and tourism related investment in the country, and along came gambling as well. The government decided, that it needed to regulate this new sector more effectively. In 2003, with the enactment of the Gaming Act of Tanzania* the country established a legal body, the Gaming Board of Tanzania to oversee the gambling industry, issue licenses to operators and collect taxes from gambling premises. Although, internet penetration is quite low in the country – as you would expect from a developing nation – it is not the lowest on the continent (it was 14.9% in 2014**). Online gambling has a steady market in the country which is the result of the government’s liberal policy. Tanzania is one of the few countries in Africa where online gambling is legal and regulated. Although, almost all the articles you can find on the internet suggest, that it has been legalised in 1999, by an amendment to the Gaming Act, the Gaming Act itself – according to the official sources, mainly the website of the gaming board of Tanzania*** – was enacted in 2003 and it does not mention online gambling specifically. What we do know, is that the first online gambling site licensed by Tanzanian authorities iplay8casino.com began operating in 2013 and others followed after that. Even though it is not specifically mentioned anywhere, the government seemingly decided, that gambling operations defined in the Gaming Act include online gambling as well, making online gambling de facto legal. In Tanzania, casino gambling is legal and regulated under the Gaming Act of 2003. Licenses are issued to operators by the Gaming Board of Tanzania. The country has 8 casinos at the time of writing, according to the official website of the Board. Casinos are not the only venues where casino type games are available in Tanzania. The authorities also issue licenses to smaller shops, hotels and such to operate gaming machines, like video Poker games and slots. Online gambling is also legal and regulated in the country. The first operator to receive a license was the aforementioned iplay8casino.com in 2013. The casino offers its games in Tanzania and other African countries as well. Licenses are being issued, nevertheless operators with a Tanzanian license are few in numbers so far. However, players of foreign sites, licensed in other jurisdictions are not prosecuted by any means. The Gaming Act of 2003 regulates bingo as well, although there is no info on whether any of the casinos in Tanzania offer bingo games or if there are any separate bingo halls in the country. Online bingo sites are, in theory, eligible for a licence in the country as well, although there isn’t seem to be any online bingo site out there, operating under a Tanzanian e-gaming licence. That being said, Tanzanian players are not prosecuted for playing on foreign online bingo platforms. Many of the licensed brick and mortar casinos in Tanzania offer various kinds of poker games to their players. Online poker operators are also legal and eligible for a licence in the country. However, I couldn’t find any poker sites operating under a Tanzanian licence or domain. Tanzanian players who frequent foreign licensed online poker sites are not prosecuted by the authorities. 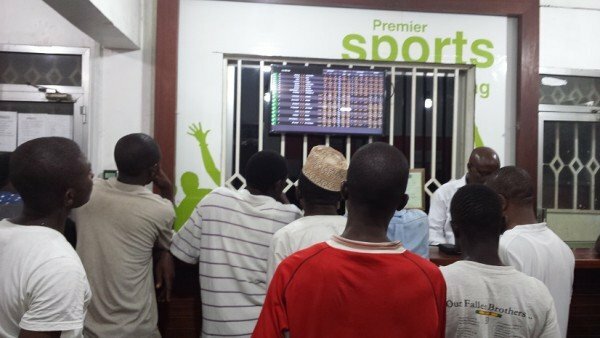 Sports betting is the most popular form of gambling in many of the African developing countries and Tanzanian punters are great in numbers as well. There are legal and licensed betting shops around the country. Many of these are operated by international companies, but tailored to the local market. Online bookmakers licensed by the Tanzanian Gaming Board also exist – although, only a few of them. One example is m-bet.co.tz. Players of foreign platforms in Tanzania are not prosecuted either. Until the nineties, the only legal form of gambling in Tanzania was the national lottery. It was conducted in accordance with the Pools and Lotteries Act of 1967 and the National Lotteries Act of 1974. Lottery is alive and well in Tanzania to this date. Earlier this year, the South African Murhandziwa Ltd received a licence for conducting the national lottery in Tanzania, committing to invest 70 billion South African Rand ($5.174 billion) over 3 years*. There is no online platform to play the national lottery, but players of foreign online lotteries are not prosecuted in the country. There is no mention of digital currencies in any of Tanzania’s gambling statutes. Bitcoin is not expressly illegal in the country and online gambling is legal, so I would say – as in most any other countries – Bitcoin casinos in Tanzania are out of the reach of authorities. They are not legal and not illegal either, although, there is no Bitcoin casino operating under a Tanzanian license (indeed, most of the Bitcoin casinos operate without a license all together anyway). Players of foreign Bitcoin casinos, however, are not prosecuted in the country. Online gambling is legal and regulated in Tanzania and the Tanzanian Gaming Board issues licenses to online operators. However, many of the foreign online gambling platforms accept players from the country as well and players are not prosecuted for playing on these sites. An overview of the legal status of all forms of gambling in Tanzania, online and offline.